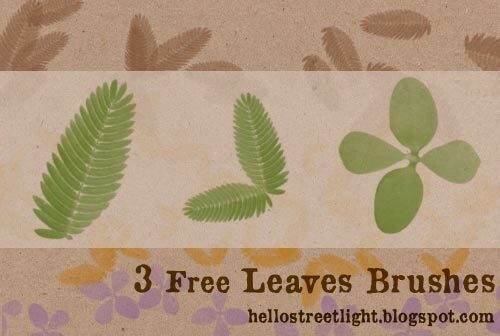 I made another experimental set of brushes - using leaves this time. I looked for leaves with interesting shapes and took pictures of them... I just realized that it would have been better if I scanned them instead :| Ah, I will do better next time! Also, note that this brush set actually contains 3 pairs of brushes. For each pair, I included the original large version and a customized one. Pretty much like my other brush sets. Anyway, I hope you like this free brush pack and enjoy using it!